I decided to try Victorian…! We wanted to make our new shopping area reminiscent of New Hope, PA and other small towns where the original Victorian houses have been converted to funky, eclectic shops. I made most of them fairly simple, but on this one, I got inspired to go full tilt. As they say, if you stood still for 5 minutes, the Victorians would try to decorate you… so the last thing a Victorian house should be is simple! It’s loaded with highly detailed authentic features, including a wraparound porch, turret tower, sculpted balustrades and spandrels, fretwork, decorative shingles and “Stick” detail. The interior was painstakingly textured to match the Victorian styling. The double hung windows even work! I took my inspiration from various Queen Anne style houses in New England, and the famous “Painted Ladies” of San Francisco. I had a lot of fun researching the style, and planning the materials. This is one of those “only in OpenSim” builds at 985 prims (no problem, we’ve got plenty more). A residential version will be forthcoming soon, with authentically styled interior. I might try to do a somewhat less primmy version for SL. The store is offered rent-free. Land ownership is included, also free. We want to encourage content creators to share their creations with our residents by offering them free space to do it. 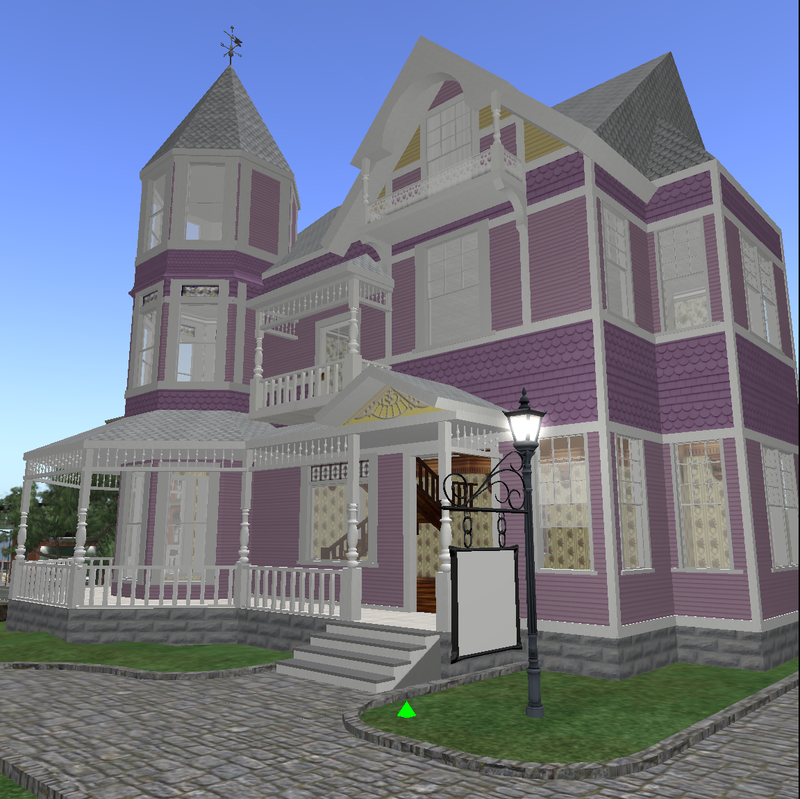 If you’d like to move in, contact Walter Balazic or Camryn Darkstone inworld in OSgrid. Come see it on the Littlefield NE sim in OSgrid. See more of Littlefield at our Flickr page.